Allied Vision’s entry-level camera family, Mako, offers high quality imaging at a low-cost. The Mako is equipped with the latest CMOS sensors from Sony (IMX249), OnSemi (PYTHON 300, 500, 1300) and Aptina (MT9P031). Mako offers resolutions from VGA to 5 Megapixels and speeds up to 550 fps. Click below to see the price. 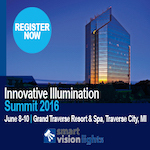 Smart Vision Lights will host their inaugural Innovative Illumination Summit, June 8-10, in Traverse City, MI. Featuring more than two days of technical presentations on the science of machine vision lighting and dozens of sample lighting applications, the event will also include AIA CVP testing, networking, outdoor events and more! Register now. 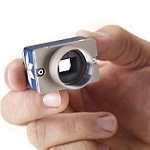 Photometrics and QImaging released the QI674, QI695 and QI825 CCD cameras with the launch of www.oemimging.com, a dedicated online product development portal for biomedical instrumentation builders. 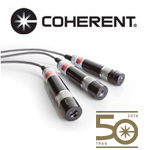 Engage with an established and trusted manufacturing partner that offers a broad range of cameras and understands your application-specific needs. VISION SHOW DEVELOPMENT CAMERA GRANT AVAILABLE, VISIT BOOTH 911.
e2v’s ELiiXA+ line scan cameras are setting new, high standards for line rate and image quality. 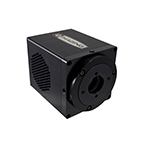 Thanks to e2v’s newest generation of multi-line iCMOS2 technology, the cameras provide an unmatched 200k lines/second (with 12K pixels) and combines high response with an extremely low noise level. Only Coherent has the complete company resources to deliver an extremely consistent, high quality product, with the service and support you need, whenever and wherever required, anywhere across the globe. Visit booth #711 and discover superior 3D profiling lasers that improve the quality and lower the cost of manufactured goods. Vision Systems Design Products invites you to forward this newsletter to colleagues or associates who might be interested in our regular news summaries Forward to a Friend. If you do not subscribe to Vision Systems Design Products newsletters, please click here.